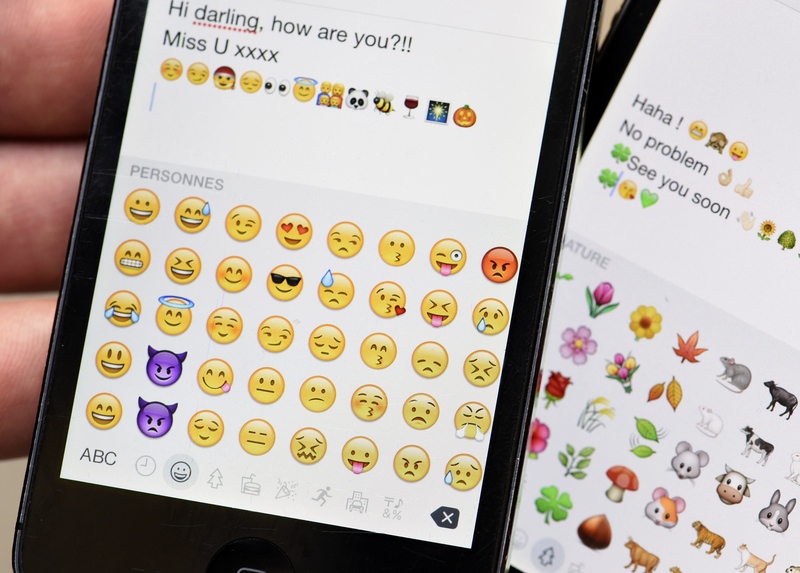 With over 700 emoji currently available in the standard Unicode character set, it's definitely to be expected that you'll misuse an emoji every now and then. Our phones don't exactly make it easy for us to find the description of each emoji or how to use them; as such, there are probably a whole lot of emoji you're using wrong without even knowing it. But with the little pictograms steadily growing into a language of their own and with emoji becoming pertinent to almost every life situation, it's crucial to have a grasp on all their nuances so you can come off as the most emoji-literate friend in your group. It's kind of like having a big vocabulary — it's one thing to know a ton of words, but another thing to know how to use them correctly. In case you hadn't noticed, emojis are everywhere. Companies like Domino's are advertising with emoji, activists are using them to raise awareness about things like substance abuse, and people are even proposing that emoji be used to label food allergens. It makes sense, of course, to integrate emoji into the real world, both offline and on; not only are they becoming familiar to all smart phone users across the world, they're also a visual language which can allow people to communicate without words, making them something of a universal language. With this emoji revolution under way, it's important to understand the emoji you've been using incorrectly and make the appropriate adjustments immediately. These seven emoji, for example? You've probably been using them all wrong. But now's your chance to fix it! Though it seems like this emoji is either crying a single, gentle tear or dribbling a single, giant snot bubble (or doing both at the same time because it's both sick and sad), it's actually supposed to depict someone sleeping. In anime and manga, the blue tear is used to show that a character is snoozing, and since emoji originate in Japan... well, you can see how the same convention might have made its way to the realm of digital communication. Though it looks like this emoji is about to walk away in a huff, it's actually supposed to depict a triumphant person with air coming out of their nose in pride. I've always used this as a hairflip emoji to convey a feeling of "Yep, I know I'm awesome," or "Told ya so," but apparently this emoji is supposed to be a person at an information desk. I guess people who work at information desks hold their hands out mysteriously every time they need to accomplish a task? First of all, those hands are clearly on this emojis hair and secondly, what even is a face massage? Though it may be tempting to use this emoji when talking about either Harry Potter or a lightning storm, it's actually supposed to serve as a warning for high voltage. If you see something marked with it, don't touch it. I mean it. Nope, this is not a shooting star. This is a dizzy emoji, with the iconography again coming from anime and manga: It's supposed to look like the stars that circle a person's head when they fall over or when their heads start to spin. I always thought this emoji represented a hospital (specifically, a hospital where babies are delivered because of the heart). But it turns out it's far more scandalous than that: This emoji is actually an homage to the no-tell motel, where lovers can check in for a few hours, do what they need to do, and then leave. There are probably a number of other emoji you're using incorrectly, so for an extensive list of actual meanings, head to Emojipedia. Your emoji game will thank you.